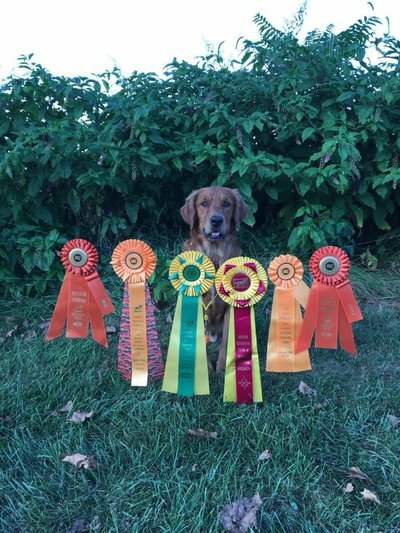 Congratulations to Keeva on earning her AKC Junior Hunter Title!! 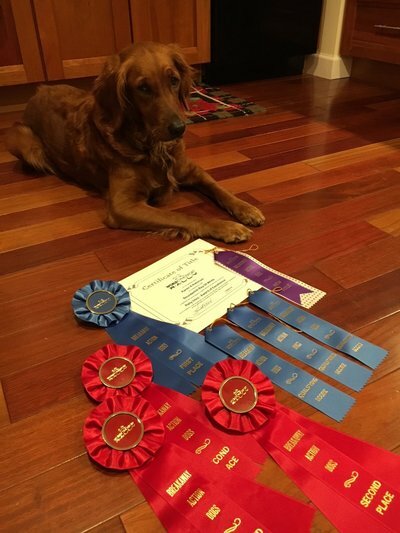 Congratulations to Birdie on earning her AKC Junior Hunter Title!! Glimmer and her many ribbons! Glimmer is a Kasey and Tucker daughter. Congratulations! 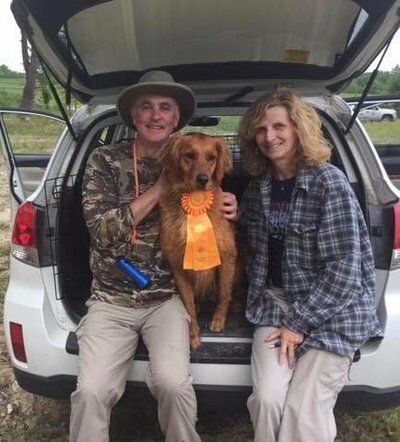 HELD ON JUNE 22, 2018 AT THE MAINE RETRIEVER TRIAL CLUB TEST! GREAT JOB! 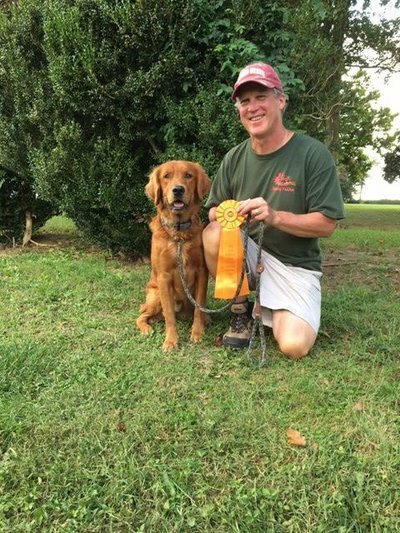 GOLDEN RETRIEVER CLUB OF AMERICA 2017 NATIONAL SPECIALTY! AND IS 10 MONTHS OLD! GREAT JOB! a WC Title on 10/10/15! 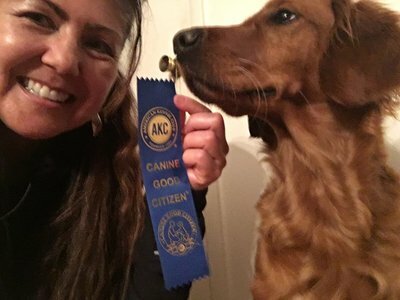 who recently completed her Canine Good Citizen test with flying colors! 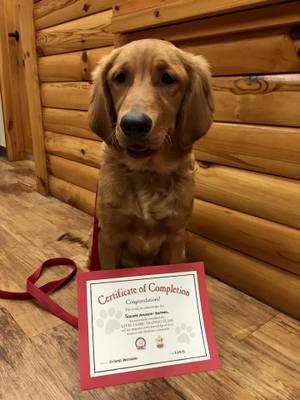 Congratulations to Scarlett, one of Kasey and Tucker's girls who recently completed her Level 1 Training Course. Good work! 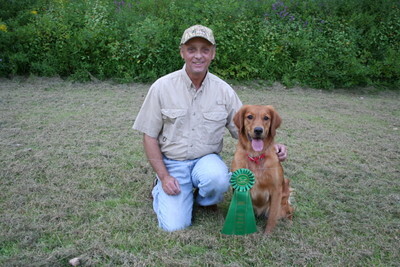 Congratulations to Topbrass Goldeneye, our Kasey, who earned her AKC Junior Hunter Title on 6/14/2014 ! She did a great job! Junior Hunt Test Ribbon on 5/17/14! 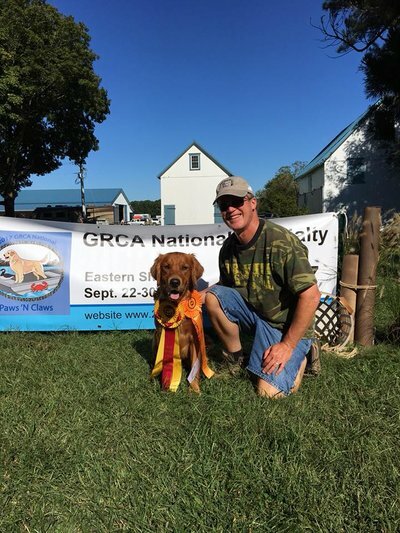 Congratulations to our Kasey who earned a second Junior Hunt Test Ribbon on 9/29/13. Great job Kasey! 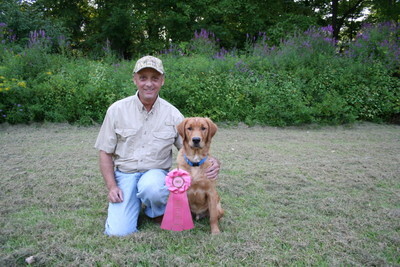 Congratulations to HR Smokingold Guns Up, MH,CCA, WCX, our Chase's dam, who earned her HRCH title! Good job! Congratulations to Choctaw's Yukon Copper Penny, MH, WCX, our Kasey's sire, who was a finalist again in this year's Master National. 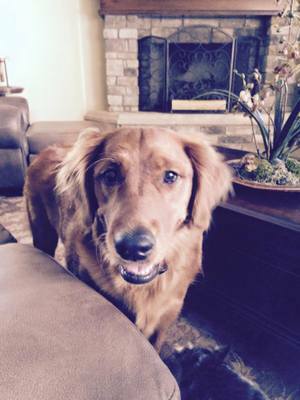 This is the third time Copper has been a finalist! 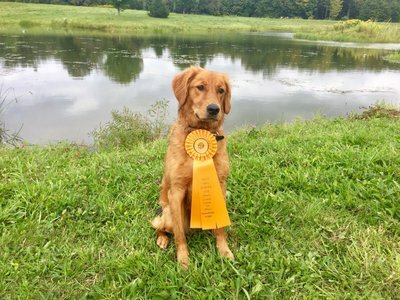 Congratulations to Kasey, who earned her first Junior Hunt Test Ribbon on 9/8/13 at the Finger Lakes Retriever Club Test! 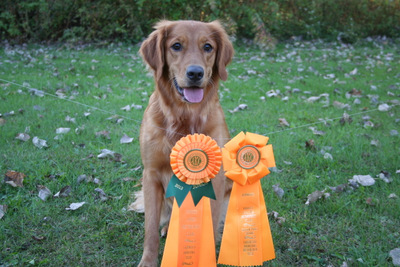 Congratulations to Chase and Kasey who both earned ribbons on 8/17/13 at the Yankee Golden Retriever Club Test. 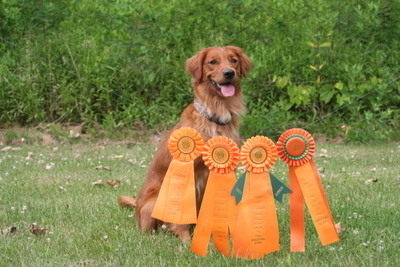 Chase got 1st Place in the Puppy Stakes, and Kasey earned her WC Title. 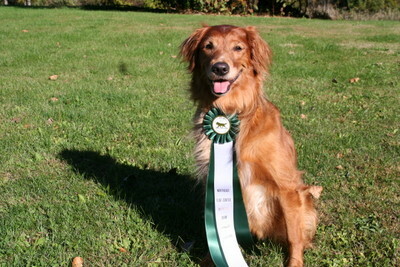 Ribbon on 5/19/12 at the Hudson Highlands Hunt Test. Great Job Piper! 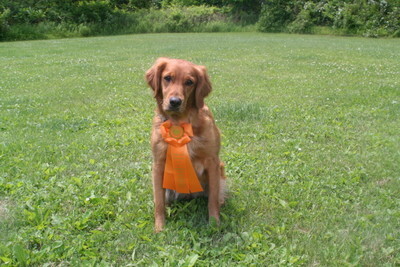 Piper earned another Junior Ribbon on 6/16/12 at the Iroquois Club Hunt Test! One more to go and she gets her Junior Title! 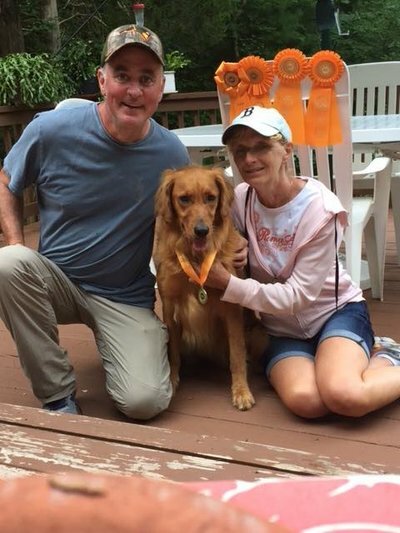 Big Congratulations to Piper! She earned her Junior Hunter Title on 7/1/12, at the Southern Berkshire Hunt Test. She did an great job!